RightCloudz Technologies has been setup by a group of cloud experts with a well defined mission of empowering and enabling cloud customers to make the right vendor choices when buying cloud based assets and services. As a first step towards that mission, RightCloudz' goal is to build the world's most comprehensive, accessible and easy-to-analyze knowledge base with current, fine-grained information about major cloud service providers worldwide and to provide it's customers with user-friendly mechanisms to analyze their cloud scenarios and determine the vendors most suited for their specific requirements. Our initial set of offerings include web based, customized cloud recommendations based on the cloud user's business and technical priorities as well professional cloud advisory services for complex cloud scenarios. We are also working to deliver objective, vendor-neutral ratings to compare existing cloud services so customers can make well informed choices when selecting their cloud vendor. Vikas Mathur is a senior technology and business professional with over two decades of experience in the enterprise software industry managing large, multi-site product engineering functions at major technology vendors like IBM, Oracle and HP (Tandem). Prior to co-founding RightCloudz, Vikas built the Cloud Lab at IBM Singapore to create advanced, first-of-a-kind cloud solutions for large enterprise customers in several industries. Vikas is an expert in Cloud solutioning and design and has been a regular speaker at several conferences in the ASEAN region. 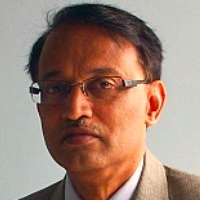 Sreehari Narasipur is an accomplished thought leader with extensive technology experience working with global engineering teams in North America, Europe, Australia, Asia and the Middle East. In a career spanning over thirty years with companies like Xerox, Oracle, Telelogic and IBM, he has collaborated with global teams to build several large and complex enterprise products. In his role as Vice President of Development at Telelogic, he was instrumental in starting and growing engineering teams for building world class Engineering teams that developed Software Lifecycle & Management products. 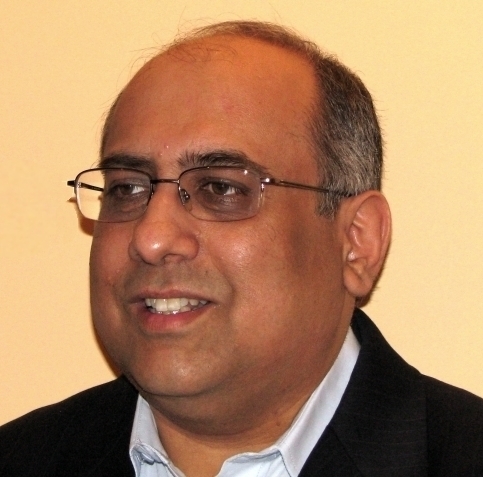 At IBM, Sreehari was a World wide Program Director for a Portfolio Management product suite. 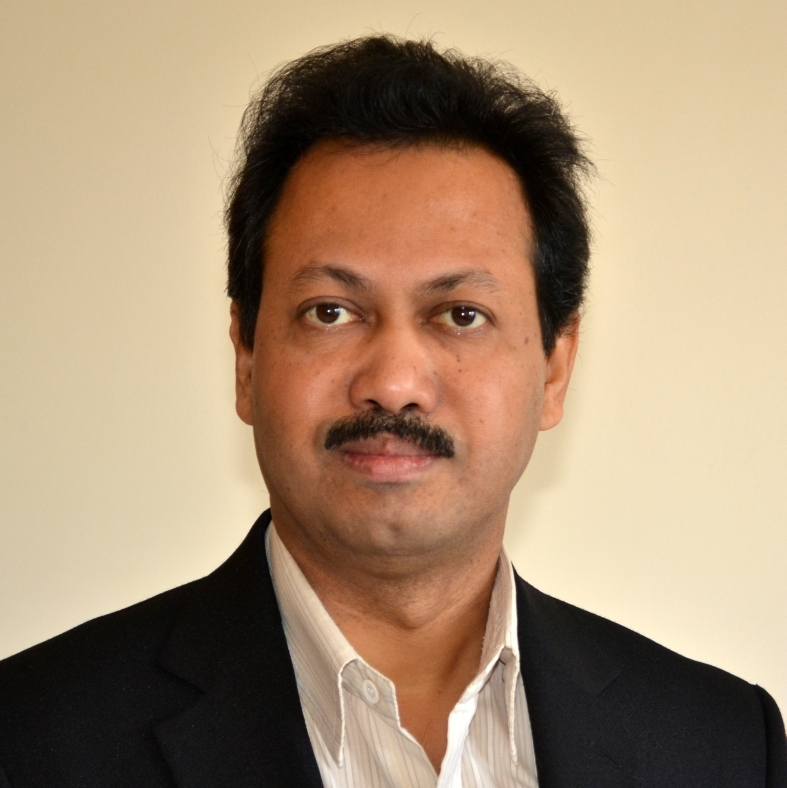 Subhranshu Banerjee is a senior technology professional with over twenty years of experience in enterprise software development. He has spent a significant part of this time at Oracle where he helped create several innovative technologies, some of which have been granted US patents. His work at Oracle centered on developing and enhancing the programmatic interfaces to Oracle Database Server as well as creating new techniques for managing Large Objects programmatically. Prior to Oracle, he worked with Indira Gandhi National Center for Arts where, in collaboration with Xerox-PARC, he used his expertise in Object Oriented Technologies to build an extensible infrastructure for authoring and rendering the rich cultural heritage of Indian Art. The primary source of the information collected about users shall be the form filled up by the users when registering on this web site. Other sources of information collected are your usage of the RankCloudz Online application and access of this website. Providing information to us is your choice. By providing us information you agree to allow us authorized use of your information and you agree to abide by the Terms and Conditions. You always have the ability to have all your information deleted from our repositories and to opt-out of receiving any communications from us. During registration for our services, you will be asked to provide us with some personally identifiable information ("Personal Information"). Personal Information may include, but is not limited to, your name, company/organization you are associated with, phone number, email ID and any other information which RightCloudz may need from time to time. We may additionally collect networking related information associated with your access of our services. Such networking information may include, but is not limited to your IP addresses, Internet Service Provider names, browser/device information and any other networking related information that RightCloudz may need from time to time. We may also collect information related to your usage of the RankCloudz Online (“RankCloudz”) application. This information may include, but is not limited to the business scenarios you work with, the priorities and other parameters you use to customize and fine-tune the evaluation and the resultant artifacts/reports that you generate based on such evaluations. RightCloudz is the recipient of all the information and undertakes responsibility for the secure retention of the information provided by the registered users. RightCloudz and RightCloudz entities shall cooperate with mandated government and law enforcement agencies or any third party by an order under law for the time being in force to enforce and comply with the law. Any information about you will be disclosed to the government or law enforcement officials or private parties as we, in our sole discretion, believe necessary or appropriate to respond to claims and legal process, to protect the property and rights of the RightCloudz entities or a third party, to protect the safety of the public or any person, or to prevent or stop any illegal, unethical or legally actionable activity. RightCloudz and RightCloudz entities may sell, transfer or otherwise share some or all of its assets, including your Personal Information, in connection with a merger, acquisition, reorganization or sale of assets or in the event of bankruptcy. RightCloudz and RightCloudz entities may use your information for a variety of informational emails. You have full control regarding which of these emails you want to receive. If you decide at any time that you no longer wish to receive such communications from us, please follow the unsubscribe instructions provided in any of the communications. Please note that once we receive your request, it may take an additional period of time for your opt-out to become effective which will, in no case, be more than five business days from making the opt-out request. RightCloudz and RightCloudz entities use ordinary industry standard technology designed to help keep your Personal Information safe. The secure server software (SSL) encrypts all information you put in before it is sent to us. Furthermore, all of the information collected is protected against unauthorized access. To prevent unauthorized access, maintain data accuracy, and ensure correct use of information, we will employ commercially reasonable and practicable security practices and procedures and security methods and technologies. We will also ensure on reasonable commercial efforts basis that any agent or third party that we employ complies with the same security standards as us for the protection of your Personal Information. Your information may be transferred to or be maintained on computers, computer systems and computer resources located outside of your state or country where the privacy laws may not be as protective as those where you live. If you are located outside India and choose to provide information to us, please be aware that we store or transfer information to India and process it there. Your submission of such information represents your agreement to that transfer. If you have any other questions about the security of your Personal Information, please contact us by sending an email to info@rightcloudz.com. Identity theft and the practice currently known as "phishing" are of great concern to the RightCloudz and RightCloudz entities. Safeguarding information to help protect you from identity theft is a top priority. We do not and will not, at any time, request your credit card information, your account ID, login password, or national identification numbers in a non-secure or unsolicited e-mail or telephone communication. This following Terms and Conditions form an agreement between RightCloudz Technologies ("RightCloudz" or "we" or "us") and the users ("you" or "your") who register and use any services and/or technologies hosted at rightcloudz.com or www.rightcloudz.com. The Terms and Conditions outlined below form a legally binding contract between you and RightCloudz. You are agreeing to all the Terms and Conditions specified below by accessing rightcloudz.com or www.rightcloudz.com, it's contents and/or your use of any applications, tools and reports hosted therein. As an unregistered user, you may access all the public content published on our website. Additional or more specialized, customizable content is accessible only to registered or paid users, at our discretion. If you choose to become a registered or paid user, a profile with your information will be maintained for you on our website. This information maintained in the profile may include, but is not limited to, your name, company/organization you are associated with, phone number, email ID and any other information which RightCloudz may need from time to time. You agree that that RightCloudz may use your profile information for authentication and verifying your access to the content on our website. You are responsible for all uses of the website using your profile and you are responsible for maintaining and protecting your profile information. If your contact information, or other information relating to your profile changes, you must update it at the earliest by using the profile update forms on the website or by sending an email to accountadmin@rightcloudz.com. Any activity on this website using your profile information - whether authorized by you or not - is entirely your responsibility. If you have knowledge or believe that there has been unauthorized use of your profile, you should immediately inform RightCloudz about the same. RightCloudz, at all times, reserves the right to discontinue or deactivate your access to this website prior notice. All content on this website including but not limited to evaluation results, data, charts, customized reports and any other content produced by RightCloudz, and accessible to registered or unregistered users from this website is proprietary to RightCloudz and is protected by country specific as well as international laws governing intellectual property. The customized evaluation charts and reports created by RightCloudz are generated on request (automated or manual) initiated by a registered or a paid user. These charts and reports are strictly meant for use and consumption only by the user who requested that chart or report. Any unauthorized reproduction including, but not limited to screen capture, republication (including citations), printing, hosting on an intranet or extranet site, modifications, reverse engineering or unauthorized forwarding by email to third parties is specifically prohibited by RightCloudz. RightCloudz, at your written request and at its sole discretion, may authorize you to use the charts, reports and other content in a limited manner for some of the purposes which are otherwise prohibited. If you would like to request authorized use of any of our copyrighted content, please send an email to info@rightcloudz.com. The charts and reports are provided "as is". RightCloudz hereby disclaims all warranties of any kind, express or implied, including, without limitation, the warranties of merchantability, fitness for a particular purpose and non-infringement. RightCloudz does not claim that the charts and the reports or other website content will be error free or will be available permanently and continuously. You accept that your access to any content, static or generic, on this website is at your own risk and discretion. The data, information and analysis presented in the charts and reports has been created using proprietary methods and techniques. While we have made all possible efforts to make this data and information accurate, we do not make any specific claims with respect to the currency, levels of completeness, accuracy or adequacy of the data, information and analysis presented on this website or in the reports. The customized evaluation tools and reports presented on this website are designed as aids to the your purchasing process for cloud assets. RightCloudz shall have no liability for errors, omissions or incompleteness of data or information contained in the reports or for any analysis based on this data. The format, content and presentation of data and analysis in the charts and reports is subject to change without notice. Your access and usage of the content from this website does not transfer any Intellectual Property owned by RightCloudz or any third party. At all times, all the rights in any such Intellectual Property remain solely with RightCloudz or with the respective owner in case of third party Intellectual Property. Logos, graphics and trademarks used on this website or in the reports are owned by the RightCloudz. Your use of the content, data or reports from this website does not grant you any right to license or reproduce such logos, graphics and trademarks. RightCloudz will not be liable for any incidental or consequential damages as a result of your using any content, data or reports from our website. RightCloudz will also not be liable for any losses arising due to purchasing decisions made by you based on the data and analysis presented in the charts and reports from our website. In any case, for paid users, RightCloudz liability will be limited to the fees or subscription charges paid by such a user to us during the last or currently active subscription period. RightCloudz reserves right to modify or replace any part of this agreement at any time. without notice. We encourage you to check this section on our website frequently for any changes that may have been made to this agreement. Your continued use of and access to the contents and reports from this website after any changes to this agreement constitute your agreement to the changed agreement. You agree to indemnify RightCloudz Technologies and its directors, officers, employees, partners and agents from any and all claims and expenses, including attorneys' fees, arising out of your use of the any content, data, analysis, charts and reports hosted on our website. This agreement forms the entire agreement between you and RightCloudz for the use of this website and all contend hosted therein. The terms and conditions mentioned in this agreement may be modified by posting a revised version in this section of our website. If any part or section of this agreement is held invalid or unenforceable, that part will be construed to reflect the parties' original intent, and the remaining parts or sections will remain in full force and effect. This agreement will be binding upon and will inure to the benefit of the parties, their successors and permitted assigns. Our sincere thanks go out to the talented, hard-working and amazing developer community that has provided us with many of building blocks used to create this website. We remain forever grateful to them for the wonderful templates, plug-ins, libraries and other artifacts that they have produced and have so graciously allowed others to use via highly permissive licensing terms. To the owners/maintainers listed below: Your work has certainly made our job a lot easier and we have tried to ensure that we follow your licensing terms in spirit and in form. However, if you do notice any deviations or issues, please get in touch with us at info@rightcloudz.com and we shall take immediate steps to resolve the issue.